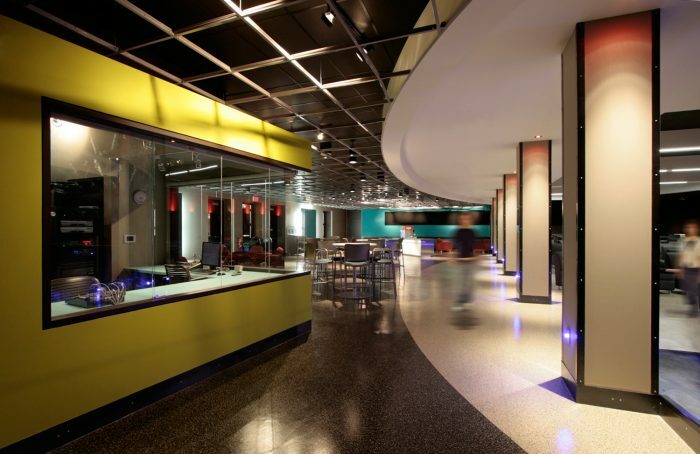 The Cave is the main student lounge located in Red River Colleges Notre Dame Campus. 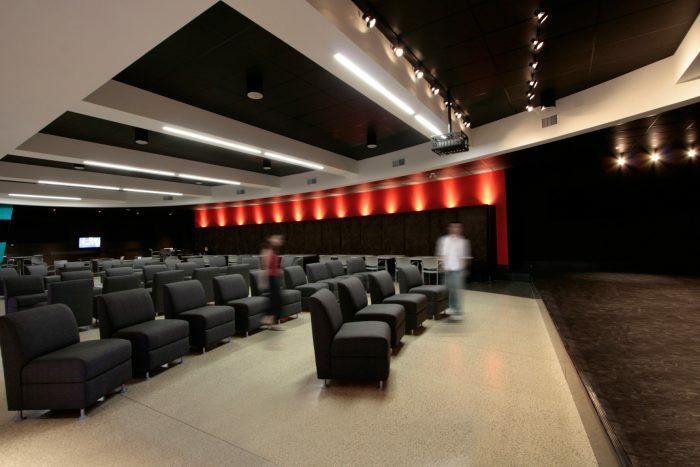 It serves as a social gathering space where students meet friends, exchange ideas, watch movies or experience live music. ESP conceived the space as a black box, â€˜a cave, where the dominant organizing form is an ellipse the main gathering space – around which lounge groupings, offices and service spaces are organized. Fixed perimeter elements, highlighted in primary colours, articulate the rooms edge. Each element anchors individual seating areas and provides a point of interest. 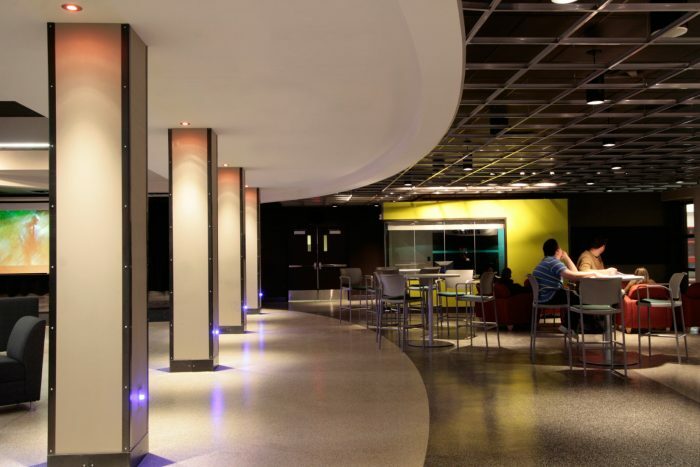 The contrast of angle with curve, soft with hard and light with dark, combined with the strategic use of colour and accent lighting is intended to capture the spirited energy of youth and the dynamic nature of social learning in the modern campus.